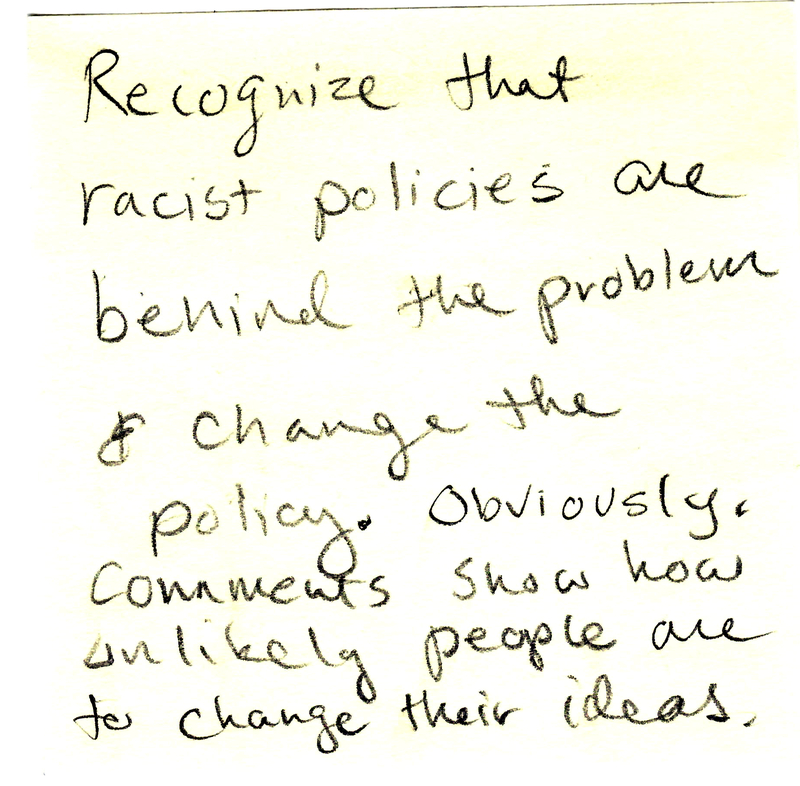 Recognize that racist policies are behind the problem & change the policy. Obviously, comments show how unlikely people are to change their ideas. 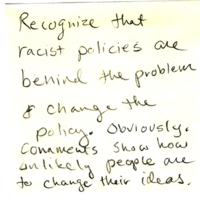 “Sticky Note 22,” Redlining Virginia, accessed April 21, 2019, http://redliningvirginia.org/items/show/42.